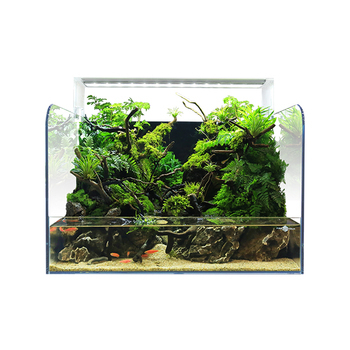 Export standard packaging for aquarium tank or according to customer demand. 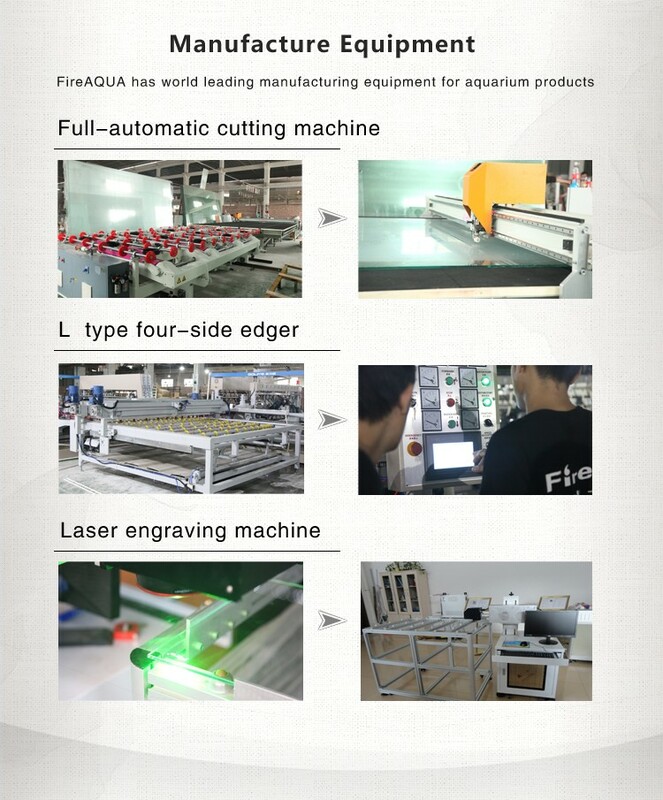 Pursuing to "Platinum Quality from FireAQUA", the Company has always been applying the cutting-edge technology and the highest quality standard in aquarium industry. Following ISO9001 quality control, FireAQUA is making great efforts to bring the best product quality and customer experience. 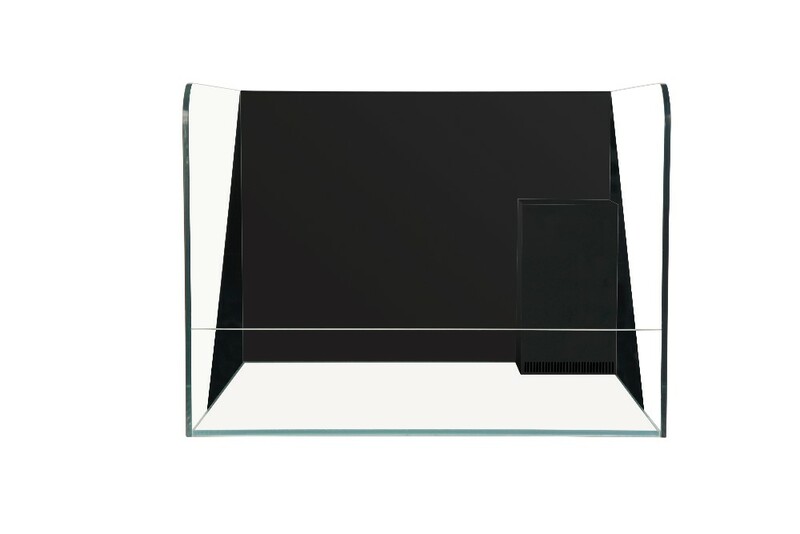 Superior quality FireAQUA ultra clear glass tanks for professional Aqua-scapers. Size could be tailor made up to 4,800mm in length. 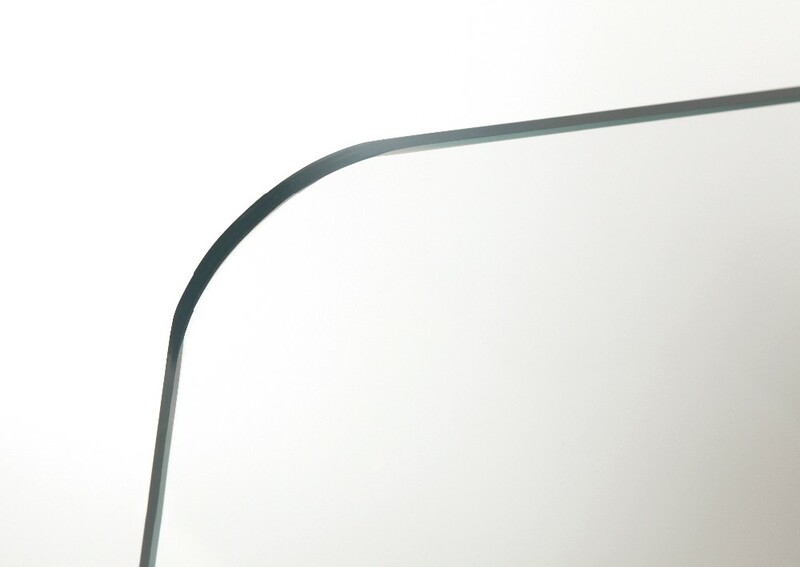 1,Crystal clear automotive grade low iron glass with light transmittance ratio above 91.7%. 2,Wacker 121 aquatic exclusive silicon glue: high strength, full water-proof, environmental friendly, stable color and long life. 3,Super crystal mirror edging and chamfering by high precision automatic four-side edging machine. Tank tolerance within 0-1.5mm. 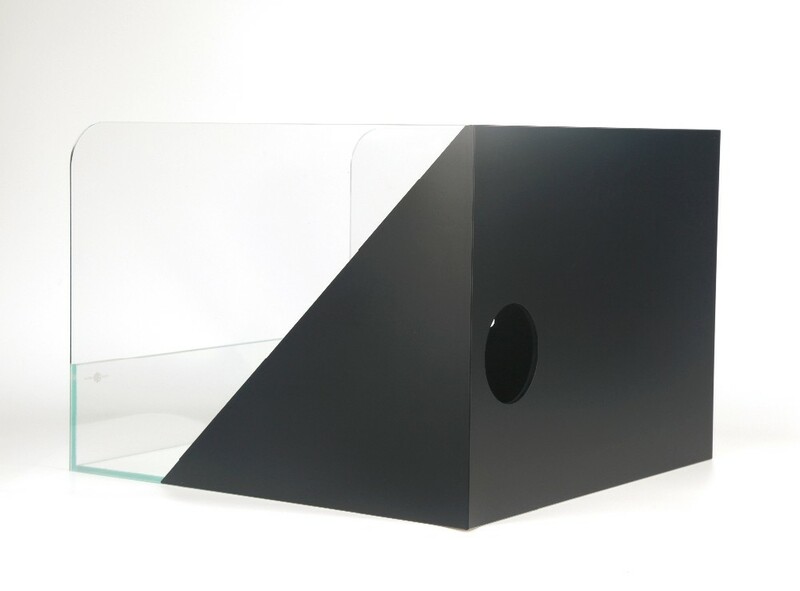 4,Exquisite tank-clearing technics and strict quality control ensures no bubble, remaining glue or scratch on any FireAqua ultra clear tanks. FireAQUA, a World-leading Ultra-clear Aquarium Manufacturer. 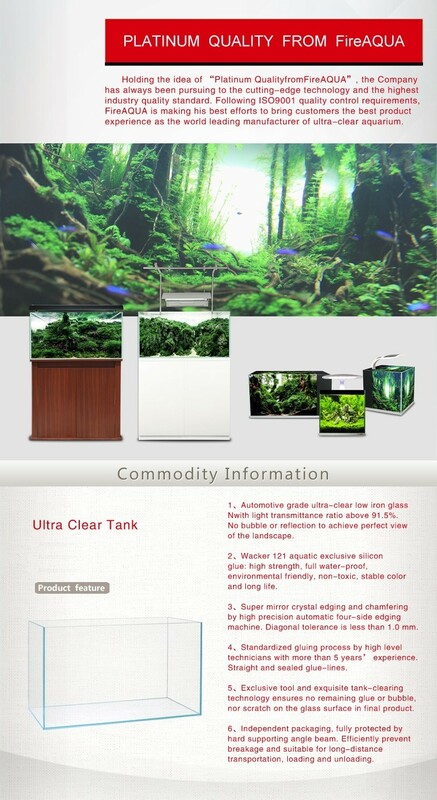 FireAQUA is specialized in R&D, manufacturing, export, ODM and OEM of top quality ultra-clear aquariums. 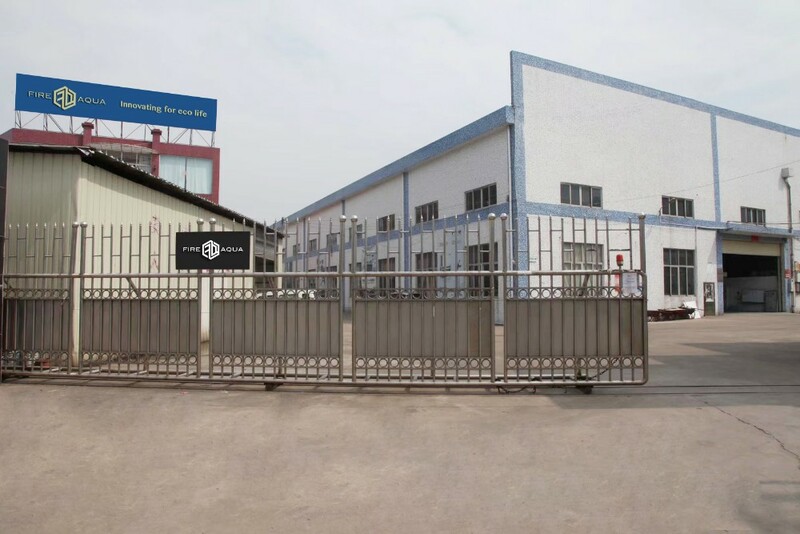 With our own manufacturing facility located in Foshan, Guangdong province of China, FireAQUA has the most advanced manufacturing equipment and the biggest production capacity of ultra-clear aquariums in China.